The 2018 Chamber Series concludes December 20th with the festive sounds of The Woodlands Symphony Brass. Join us in a casual atmosphere as Glade and The WSO celebrate the season with a Christmas party. We are excited to offer this wonderful series of concerts performed by Darryl and the Woodlands Symphony Orchestra in this beautiful museum setting at Glade Arts Foundation. 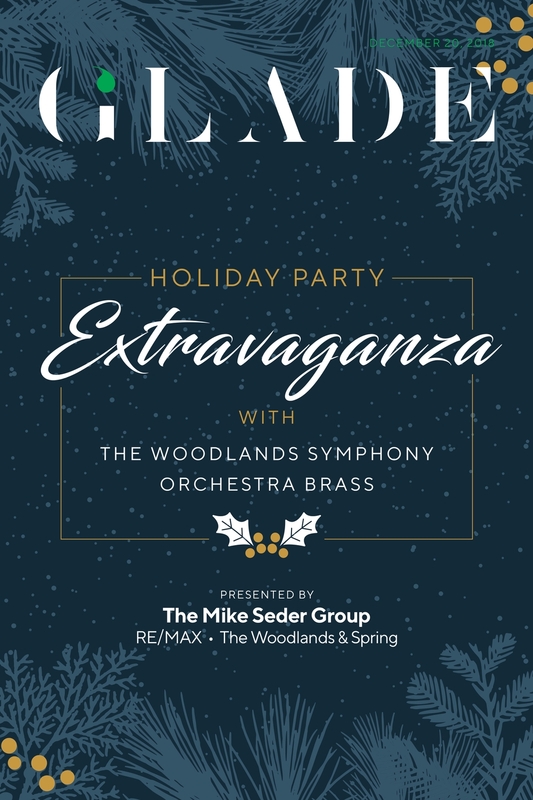 Please join The Woodlands Symphony Orchestra at Glade Arts Foundation Thursday, December 20, 2018 for The Holiday Party Extravaganza Concert.